‘Tis the time of year for zucchini. Lots and lots of it. This breaded and baked zucchini recipe will leave you wishing you had an overabundance of zucchini year-round. While I’m a fan of “all things in moderation,” I don’t fry food in my kitchen. It’s not my thing. 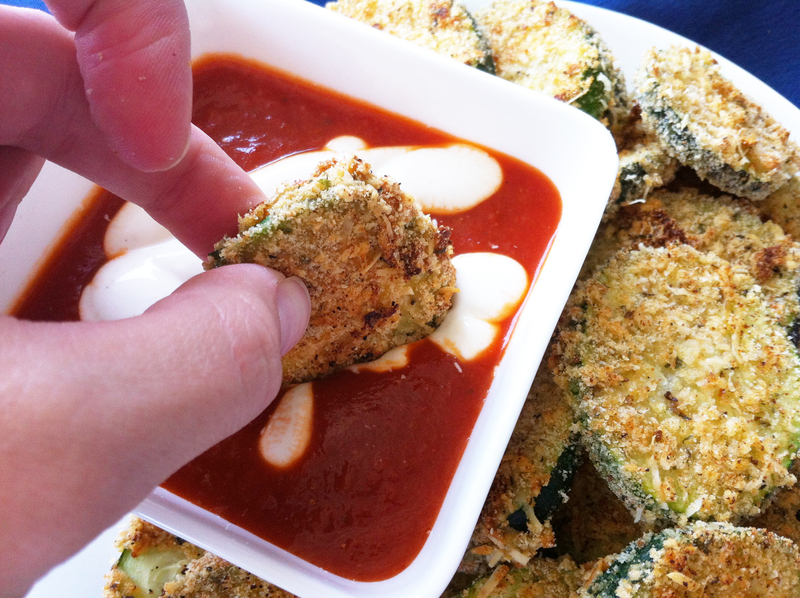 My breaded and baked zucchini recipe is so delicious that it will make you forget about fried zucchini altogether. Panko bread crumbs are included in the breading to help achieve a crispy texture. And baking these breaded zucchini slices at 4oo degrees F will make them golden brown on the outside and soft on the inside. 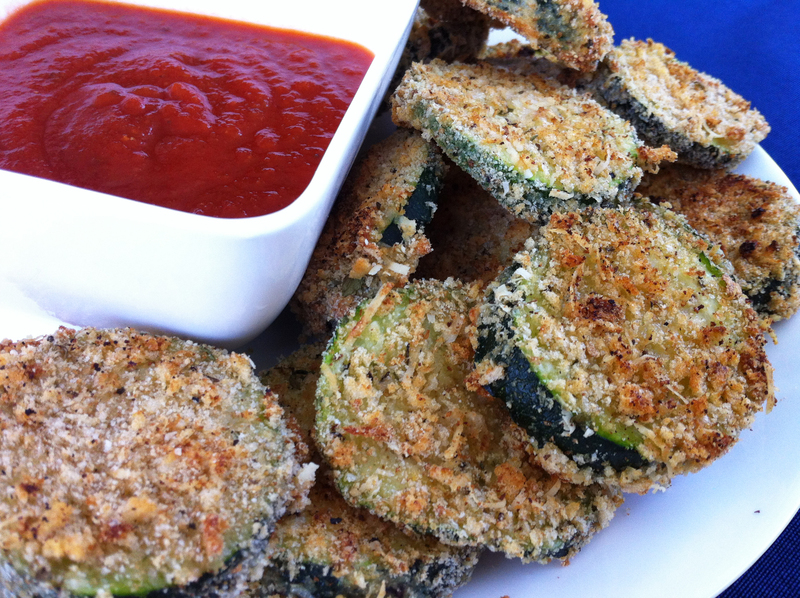 I’ve been making this breaded and baked zucchini recipe for years. I remember baking it in the little third floor apartment my husband and I shared when I was finishing my Ph.D. Ah, memories. Serve up this recipe to dinner guests as an appetizer. 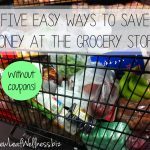 It would be great before some slow cooker sausage spinach tomato soup or a grilled pizza with Italian toppings. It’s so easy to throw together this breaded and baked zucchini that you can even treat yourself to a freshly-baked batch for lunch. I was home all day on Monday and made myself this gorgeous plate. I may or may not have eaten all of the zucchini in one sitting. Here’s the recipe so you can try some yourself. 2. 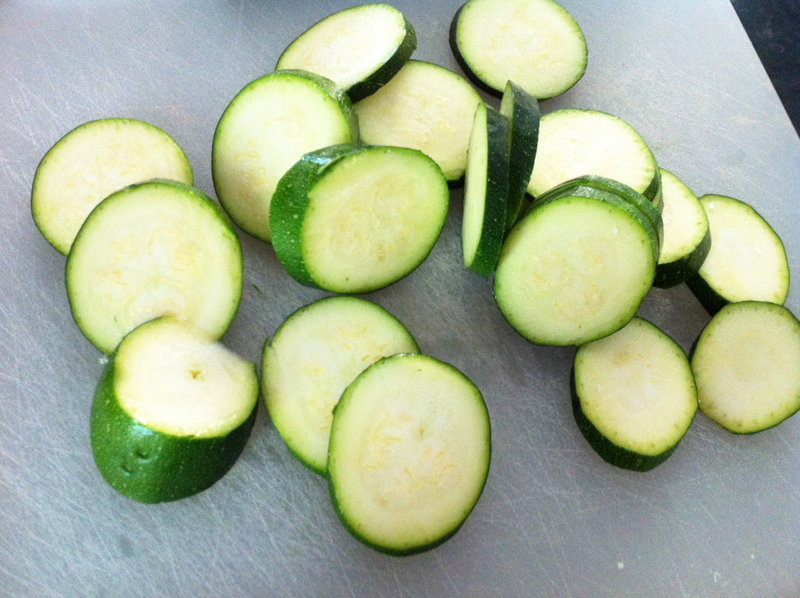 Wash and slice your zucchini into slices that are about 1/4″ thick. 3. 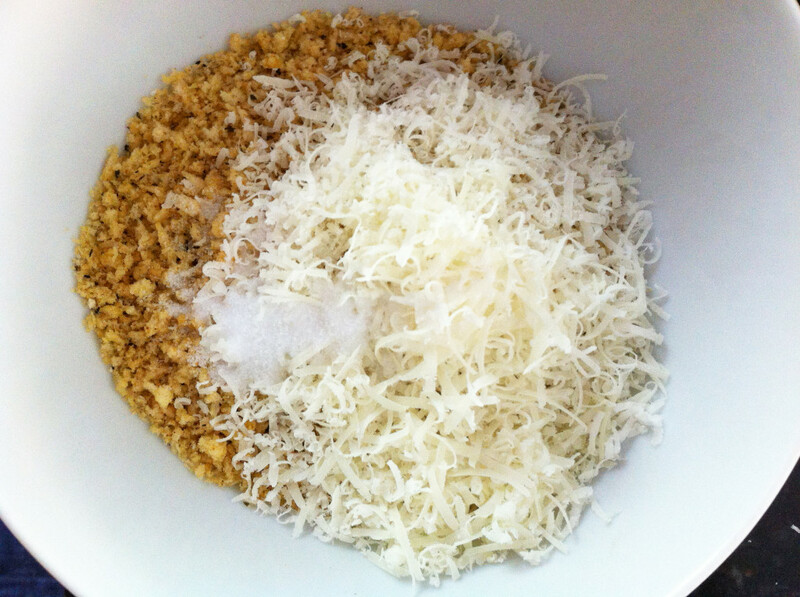 Combine Italian seasoned breadcrumbs, Panko breadcrumbs, parmesan cheese, and salt, and set aside. 4. 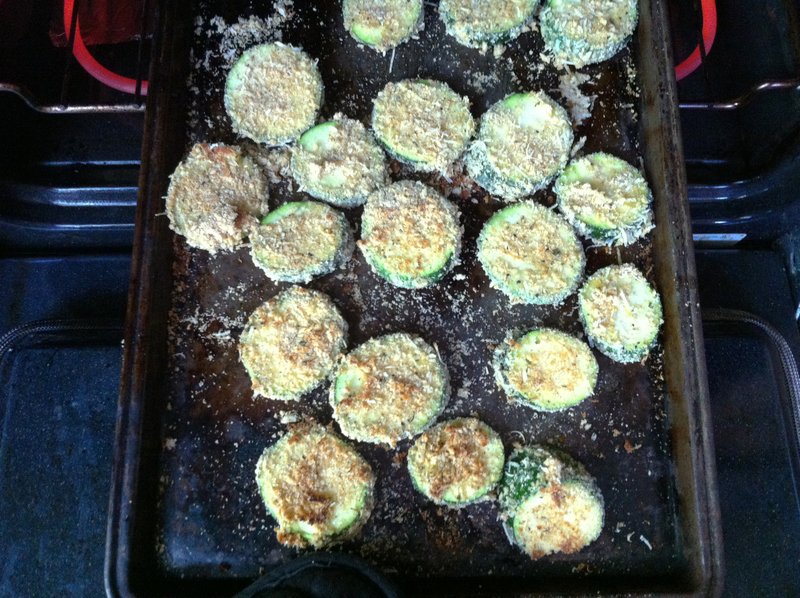 Dip the zucchini slices into the egg wash and then into the breadcrumb mixture. Pack on as much breading as you can. 5. 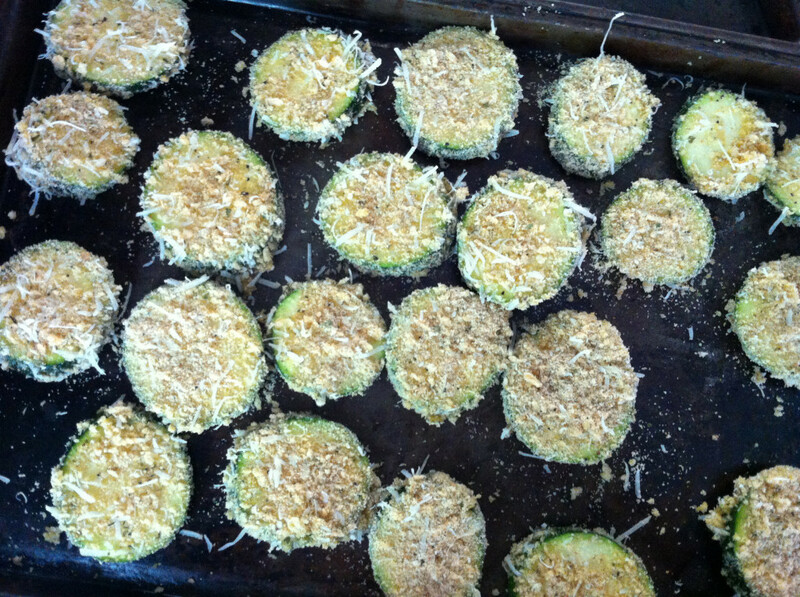 Place zucchini in a single layer on a cookie sheet and bake for 10 minutes. 6. Flip zucchini over, and bake for an additional 10 minutes. Wash and slice your zucchini into slices that are about 1/4″ thick. Combine Italian seasoned breadcrumbs, Panko breadcrumbs, parmesan cheese, and salt, and set aside. 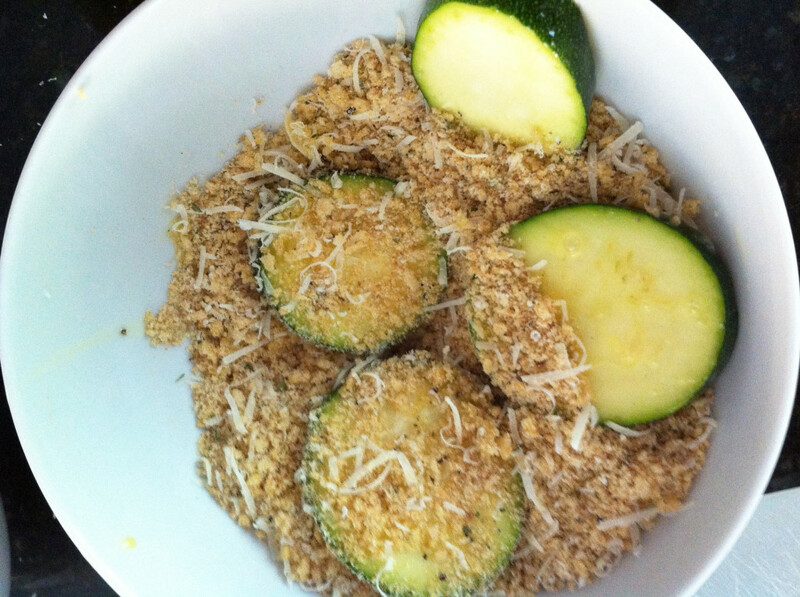 Dip the zucchini slices into the egg wash and then into the breadcrumb mixture. 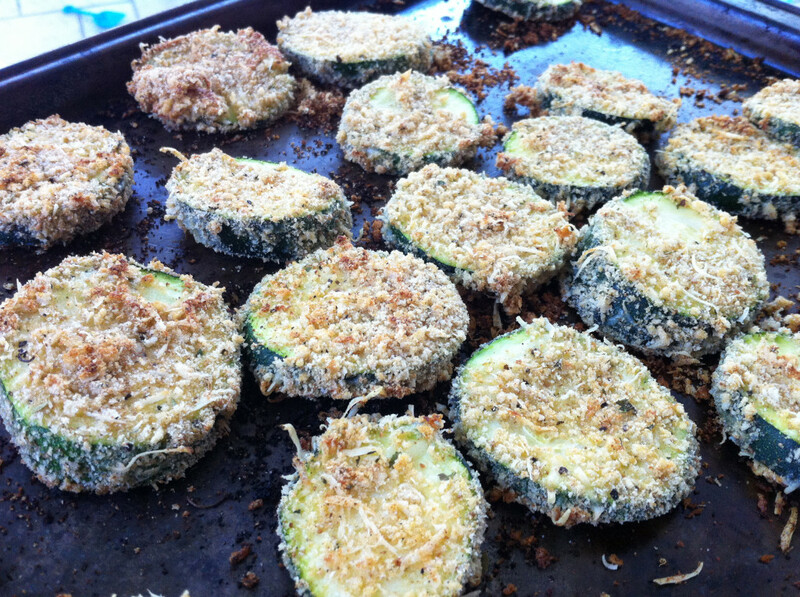 Place zucchini in a single layer on a cookie sheet and bake for 10 minutes. Flip zucchini over, and bake for an additional 10 minutes. 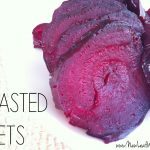 Serve with your favorite spaghetti sauce for dipping. I added a squirt of ranch dressing. I like to live dangerously. 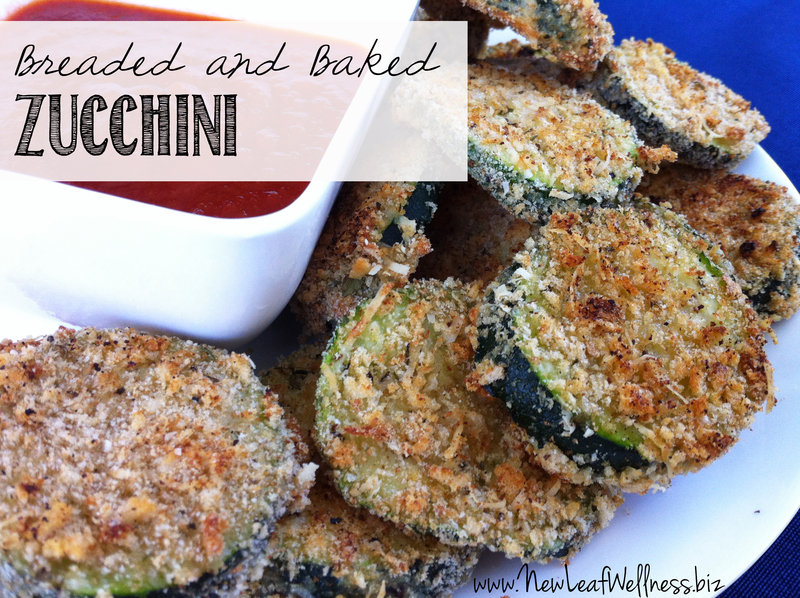 Looking for other ways to use fresh zucchini? 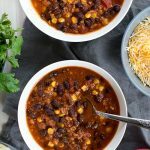 Check out my ‘Easy & Health Slow Cooker Recipes’ Cookbook. 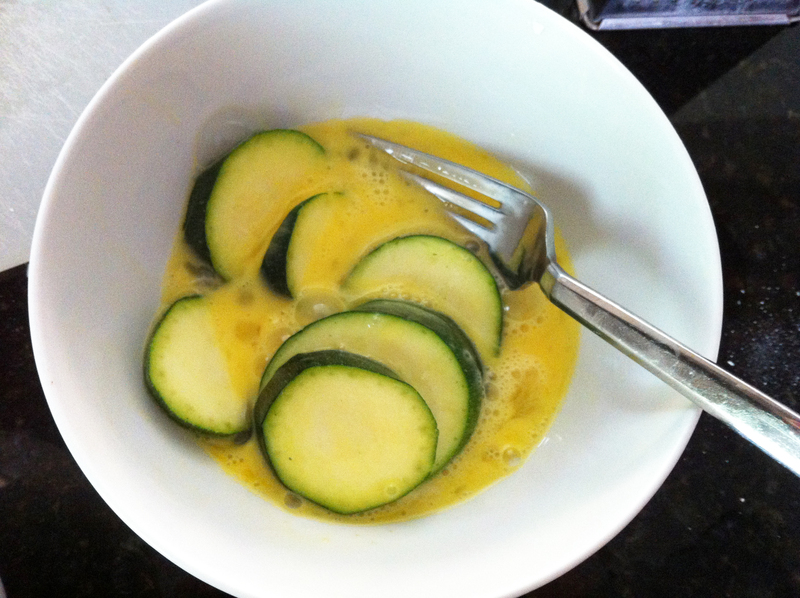 The Garden Vegetable Soup is my 2-year-old’s favorite recipe and includes a whole zucchini. The Zucchini “Lasagna” recipe calls for two large zucchinis and is so delicious you won’t even miss the pasta. YUM. I’ll also be sharing a recipe for BBQ Chicken Foil Packs (with zucchini and broccoli) next week, so stay tuned! Tell me: What’s your favorite thing to make with zucchini?